Is It Safe to Take Taurine? Taurine is an amino acid that occurs naturally in various parts of the body, with the highest concentration occurring in the heart, muscle tissues, blood and the brain. On average, a person weighing 70 kg has about 70 g of the amino acid distributed throughout his or her body, which is an equivalent of 70 times the amount of taurine found in one can of Red Bull energy drink. Among the well renowned functions of taurine is its ability to calm the nerves. This capability may be attributed to the ability of this amino acid to regulate the secretion of GABA – a neurotransmitter in the body. The elevated level of GABA helps in calming anxiety in your body. As such, the low Turin level in your body will cause the nervous system to be over sensitive to stress stimuli. Additionally, the low Turin level in the body will result in increased cortisol level and fat build up in the body. Therefore, taking taurine in energy drinks can also help you manage your weight, in addition to managing stress levels. Taurine may also be used to accelerate the rate of fat burning and increase energy production in the body. For the muscles to function normally, they require energy. This energy is produced by cells through metabolism of various nutrients, including fats. Fats are normally transported by nutrient carnitine to the cells for metabolism. Taking Red Bull taurine increases the amount of taurine in your body, which in turn increases the rate of transportation of fats to the cells for metabolism. This not only helps in lowering the level of fats in the body, but also provides energy for the various processes in the body. However, you will need an adequate amount of the amino acid to achieve this. A high level of taurine in your body is beneficial in a number of ways, with regards to enhanced insulin health. Owing to its anorexigenic property, taurine acts on the hypothalamus and improves metabolism as well as energy production in your body. These, in turn, make you feel hungry less often, hence helping you control food intake. Additionally, Taurine is known to have an antioxidant property, which reduces chronic inflammation of the hypothalamus. When inflamed, then hypothalamus triggers secretion of excess insulin, which may lead to obesity. By enhancing insulin sensitivity in the body, Taurine improves the disposal of glucose by about 70 percent. Testosterone hormone is essential in the body of men because it enhances body composition, including mass development and preventing fat buildup in the body. Additionally, testosterone plays an important role in the reproductive health of both men and women. Taurine has been proven to increase testosterone production in the body. However, Taurine will not increase the estradio component in the testosterone. By increasing testosterone production, Taurine can also minimize the chances of contracting diabetes in men. If you carry out aerobic or anaerobic exercises regularly, you should consider taking taurine in energy drinks to enhance energy production as well as improve performance and endurance by your body while training. Additionally, intake of taurine during exercises reduces the loss of biomarkers, such as creatine. As such, taurine has been proven to reduce muscle fatigue and improve recovery after strenuous activities. According to researchers, taurine can increase performance during cycling exercises as well as increase fat oxidation by 16 percent, if taken prior to the exercise. Again, taurine supports fast twitching and the contractile properties of the muscles, thus allowing for peak force production by the muscles. Taurine helps in the development of cognitive function in children and delays cognitive decline in older people. Additionally, the amino acid can also improve learning and retention of information in old people. The amino acid may also be used by the sleep-deprived individuals to minimize sleepiness. To reduce the level of sleepiness, taurine may either be used alone or in combination with caffeine. The two are very effective because caffeine offers the stimulus while taurine reduces the level of fatigue in the body. In a research by the British Journal of Surgery, the two were tested on novice surgeons who had been deprived of sleep. The results were positive in that the combination of taurine and caffeine increased response time and lowered fatigue in the surgeons. As a conjugator of bile acids, it helps in removing cholesterol from bile, removal of toxins and aids with fat absorption in the body. It is also important in enhancing the functioning of the visual pathways, the nervous system, and the brain and preventing irregular heartbeats. It protects the kidneys from damage by free radicals. Owing to its ability to calm the brain, taurine may also be used to treat seizure disorders. It facilitates the movement of potassium, sodium and possibly magnesium and calcium ions into and out of the cells. It plays a role in the control and balance of white blood cell production to aid in fighting microbial infections. Basically, taurine is considered to be safe for the body. However, it should be taken with moderation. As a guide, you should take up to 3,000 milligrams of supplemental taurine in a day. Currently, the side effects of overdose or long term effects of taurine are not yet known. However, other energy drink ingredients such as caffeine are known to have adverse effects on your body if taken in large quantities. 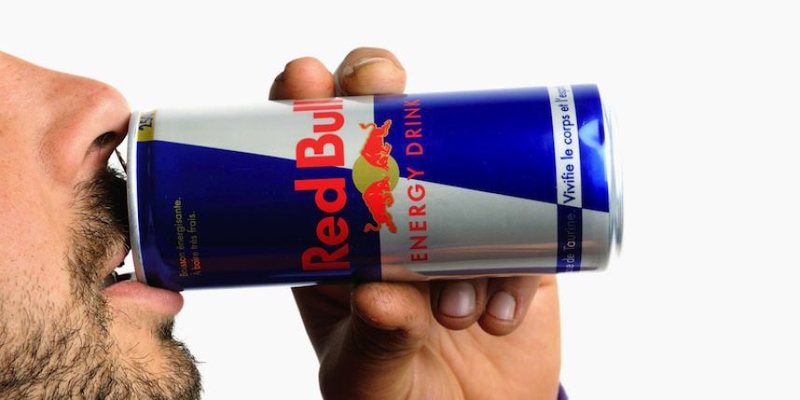 Some of the well renowned energy drinks, such as Red Bull and Monster have high amounts of caffeine. As such, the health problems associated with these energy drinks is not a result of taurine, but rather the other ingredients in the drinks. Some of the complications associated with energy drinks are seizures, jitteriness, nervousness, cardiac arrhythmias and sudden death due to caffeine intoxication. In this regard, it may be safer to avoid energy drinks and instead get your taurine from other sources that are more natural.